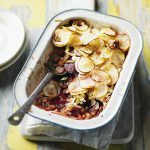 This comforting and wholesome vegan potato, beetroot and bean boulangere is perfect for a chilly evening. 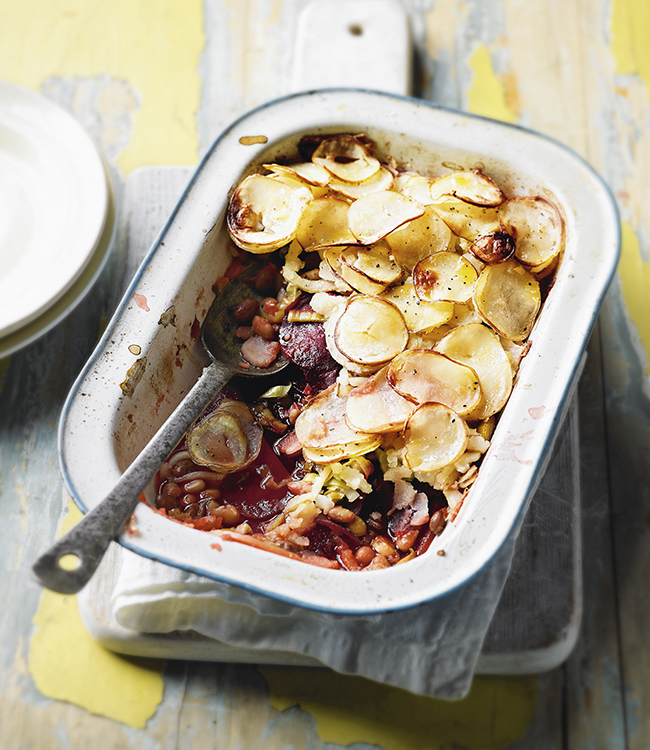 The blend of veggies, beans and crispy potato is a winning combination. Preheat the oven to 200ºC, gas mark 6. Bring the stock to a boil in a large pan, add the potatoes and cook for 5 minutes. Meanwhile, heat the oil in a frying pan and fry the leeks for 5 minutes. Stir in the beans and season. Place 1/3 of the potatoes in the base of an ovenproof serving dish, top with half the beetroot and then half the leek mixture. Repeat with the remaining ingredients. Finish with a layer of potatoes, pouring over the leftover stock. Bake for 25 minutes until golden and cooked through.